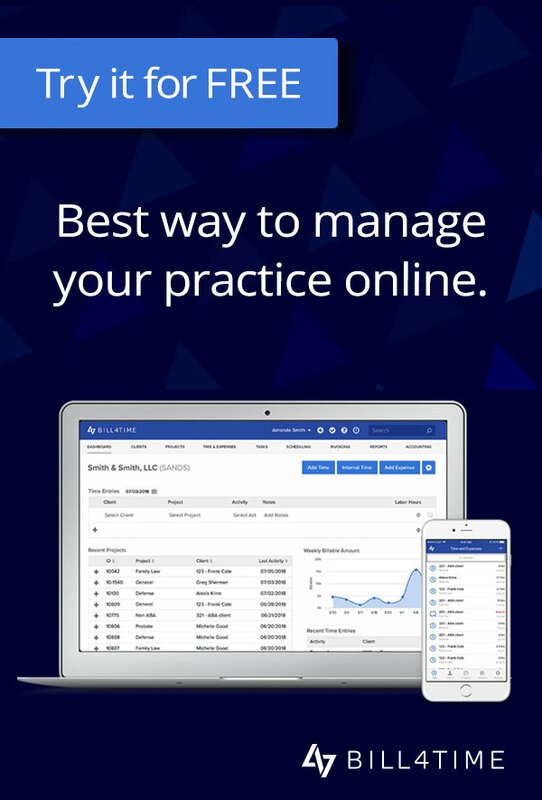 March 23, 2015—Bill4Time (www.bill4time.com), a leader in time billing software for legal, accounting, consulting and service businesses, announced today the release of Bill4Time expense snapshot feature for iPhone, Android and BlackBerry mobile users. Bill4Time clients can simply enter an expense by snapping a photo of the actual receipt. All details appear with the expense entry and automatically uploads to the users online Bill4Time account. Receipts can be easily attached to invoices, thereby eliminating the hassle of keeping track of actual paper receipts. In addition, users can view any uploaded receipt in the Bill4Time app, anytime, anywhere. For more information on expense tracking, visit https://www.bill4time.com/time-and-expense-tracking.